This entry was posted in 2d Art, Art, Business, Design and tagged Art, Business, Eigooo by Jammin. Bookmark the permalink. Very, very positive response to the cards. 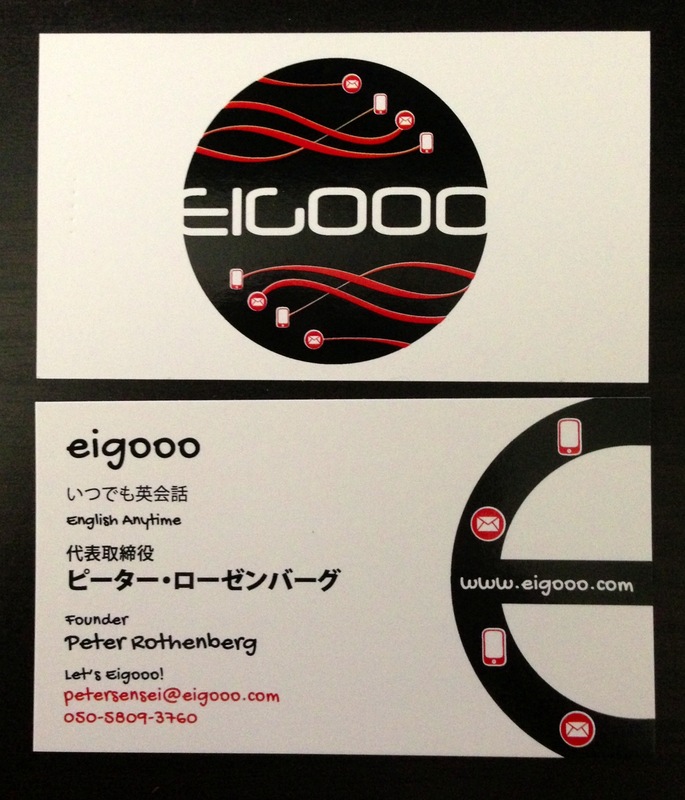 The business card exchange is extremely important in Japan. There is a specific way to give and receive cards and people are always impressed with the design. The high quality paper also helps me denote a serious business presence. Thanks to this sturdy card I already have a foot in the door for negotiations.